The chair Dent with a “dressed” seat shell. 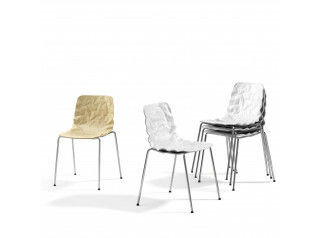 Dent Dressed Chair B503D, who despite its three-dimensional surface, is made entirely with ordinary veneer is now available in this upholstered version. Soft and comfortable to sit on and interesting in its expression. 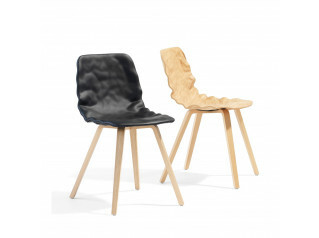 The Dent seating family was introduced to the market as a shell chair in moulded plywood in 2013. The o4i design-team has managed to crack the code of how to press an ordinary veneer into a three-dimensional form. By thinking in a completely different way than what has already been done, they found a solution by combining the curved paper theory with the wrinkled paper theory. There is no magic involved, just an open and innovative mind of the design-team O4i who made the impossible possible. Upholstered seatshell in layer-glued compression-moulded veneer covered in fabric. Underframe in lacquered steel or green chrome, chrome III. Dent Dressed B503D is an innovative stackable chair with a 3D-formed veneer seat shell providing solutions for a variety of interiors. 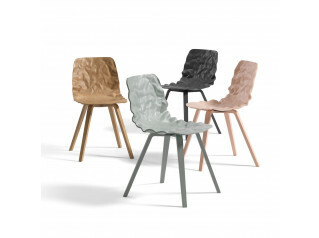 The Dent Chair family offer several chair models with different faces and legs to answer most of the needs in public and private environments. See the unupholstered version Dent Office Chair B503. 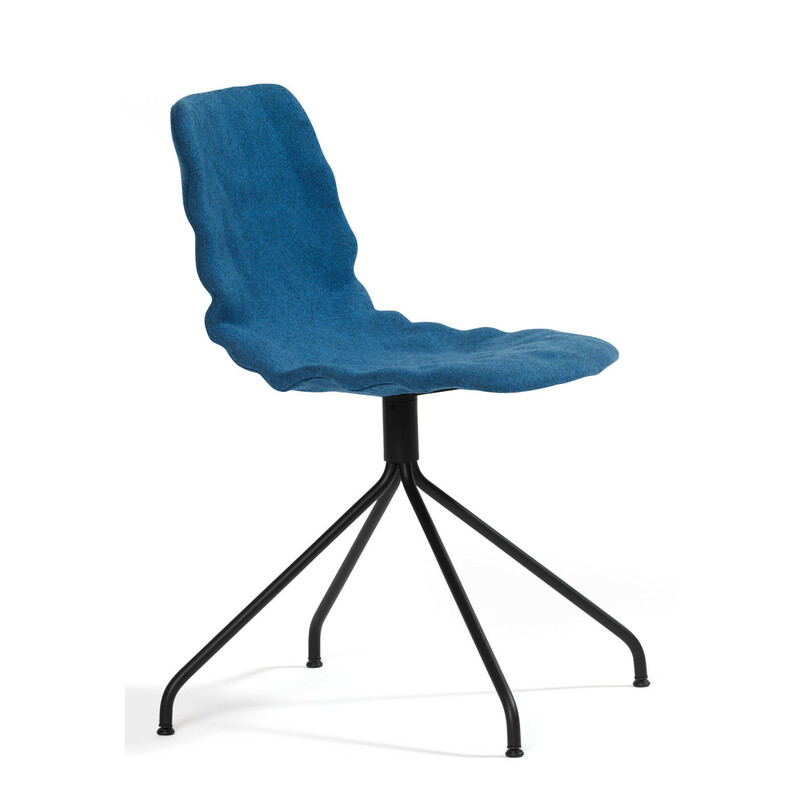 You are requesting a price for the "Dent Dressed Chair B503D"
To create a new project and add "Dent Dressed Chair B503D" to it please click the button below. 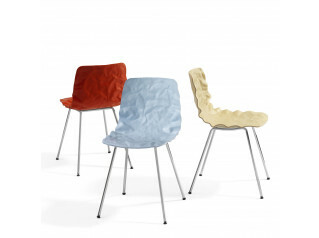 To add "Dent Dressed Chair B503D" to an existing project please select below.